The vaquita, the world's smallest porpoise, lives only in the northern Gulf of California. With just 200 individuals remaining, can the species survive? Vaquita mother and her calf in the northern Gulf of California, Mexico, as portrayed by an artist: A clear view like this probably can never be obtained photographically, because the diminutive porpoises live in organically productive water that is murky green. Momentary mayhem breaks out on the flying bridge as members of the survey team tussle for binoculars and jockey for position. Everyone wants to see the world’s most endangered marine mammal. We have been looking for vaquitas for more than a week with little success, here in the northern reaches of the Gulf of California, Mexico. The gulf, also called the Sea of Cortez, is the thousand-mile-long spear of ocean wedged between the mainland of northwestern Mexico and Baja California. There is no wind: the ocean’s surface looks like stretched Saran Wrap. The air temperature climbed above 100 degrees Fahrenheit just after sunrise this morning and hasn’t looked back. Onshore, all we can see is desert. Towering cardon cactuses stand like sentinels flexing their biceps; the rest of the vegetation is mainly scrubby afterthought, sparsely sprinkled over scorching sand. This is the last place on Earth you would expect to see a porpoise, and our survey team is well aware that the vaquita, the desert porpoise, may not be here for anyone to see much longer. Dead vaquita brought to shore after drowning in a fishing net that was probably set for sharks. 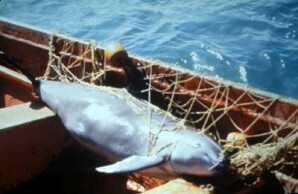 Such snapshots of vaquitas comprise almost the entire photographic record of the species. The population of the species is falling at an alarming rate mainly because of accidental entanglement in fishing gear. The animal’s slow maturation and low birthrate compound the problem. But the austerity surrounding the gulf belies the productivity just beneath its surface. Seasonal winds and a thirty-foot tidal range dredge up cool, nutrient-rich waters that support an enormously productive marine food chain. The gulf is home to large populations of blue whales, fin whales, and sperm whales; throngs of common dolphins charge about in schools that number in the thousands; multitudes of breeding seabirds crowd together on cactus-studded islets. The stark contrast between the relatively barren terrestrial landscape and the lush marine seascape is a defining paradox evident everywhere in the gulf. Tucked away in the northernmost extremity of that abundant ecosystem lives the entire world population of the vaquita—a cetacean, as are whales, dolphins, and the five other living species of porpoise. (Porpoises are distinguished from dolphins in having teeth that are flat, like chisels, instead of round, like pegs.) The vaquita was first recognized as a new species in 1958, on the basis of three skulls found on beaches in the northern gulf. 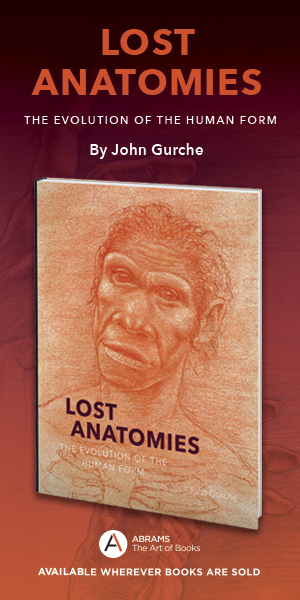 But a quarter century passed before a live animal was scientifically documented, and only in 1985 were its external features first described by biologists. 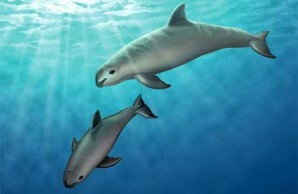 In addition to being the rarest of cetaceans, the vaquita is also the smallest. Its torpedo-shaped body measures less than five feet from snout to tail; calves are just twenty-eight inches long at birth, the size of a large loaf of bread. From a distance, the vaquita appears drab gray with a lighter belly, but at close range some intriguing details in the paint job emerge. A black stripe runs forward from each flipper to the middle of the lower lip, so the animal appears to be holding its own bridle. It has a black, circular patch around each eye. And its black lips set off a haunting little smile: Mona Lisa with black lipstick.